In the past TNH started qualifying at 6:30 and racing at 7. Turned into some late nights for those on the east coast (and pretty much an all nighter for our token Brit) so I want to bump it to a little earlier start. Can't go much earlier, though, or the west coasters won't be home from work in time. Stoked that we've moved racing over to HydroSim. Unfortunately saturday nights are busy for me (rockin' with The Roostertails). Is there any interest in getting a weeknight league going for those of us who can't run on Saturdays (or feel like running in multiple leagues)? Tentative yes (RC race that day). U-20 Appian, or U-13 Three Blades Entertainment if it's ready in time. @Scott-Przybylski Most of the aerodynamic lift is provided by the air trapped under the hull. 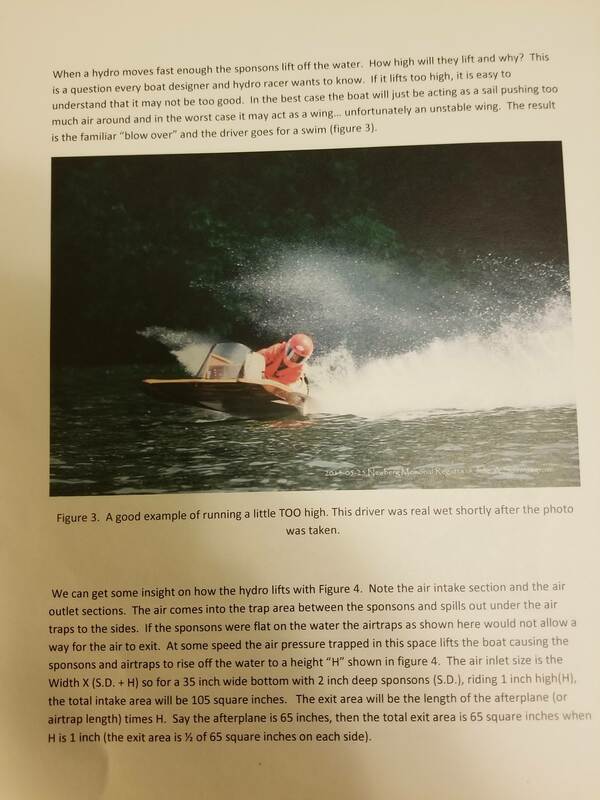 Not sure how it relates to the equations in that paper (although I may try messing with them a little), but here's a simple equation used to find the stable ride height of an outboard hydro. Note that outboards usually have the transom on the water, so this equation doesnt account for air leaving the rear of the air trap. The basic takeaway, though, is that the air leaving the air trap via the sides and rear should equal the amount entering from the front. With inboards prop lift is a larger part of the equation, and actally works to keep the bow from rising. I'll see if I can make sense of those equations, but until then hopefully this is helpful. @Harley-Gray have you tried running the game at a lower resolution? I had to run it a 640x480 or something close to that on my laptop. 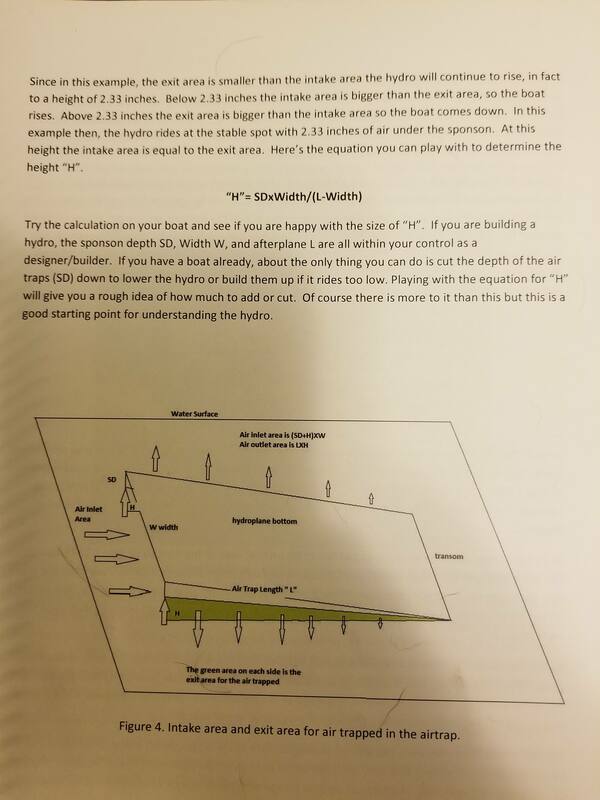 A couple of thoughts on improving the boat handling (just shooting ideas out since I don't have a full understanding of how the boats interact with the water in the program). Either increasing the hydrodynamic lift or implementing some sort of non-trip surface in the boat model could help to solve the rolling issue. The increase in hydrodynamic lift might also help to reduce the likelihood of a boat stuffing. What settings do I need to use when saving the .dds files in photoshop. I use the nvidia .dds plugin. First attempt doesn't seem to work with hydrosim. The boat name shows up in the menu, but previews as whatever the previously viewed hull was.